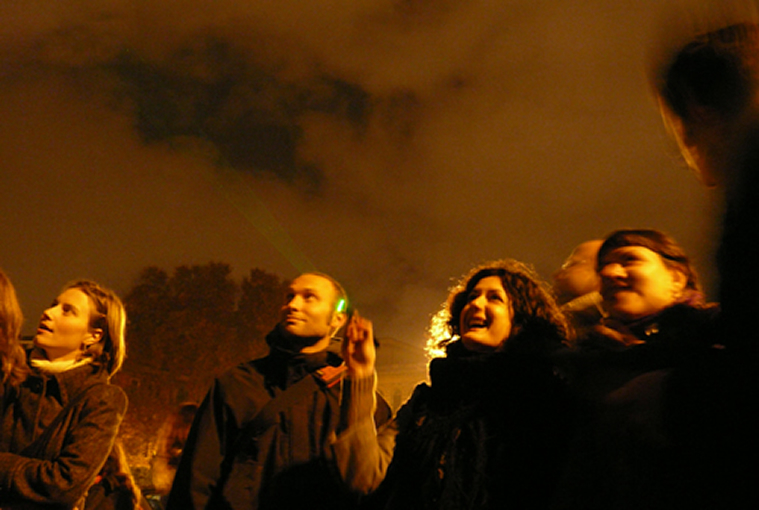 Marco Mancuso as Digicult collaborated with Enzimi Festival in Rome as guest curator, inviting Graffiti Research Lab for the first time in Italy. G.R.L. are a think tank from New York that mixes open source technologies with practice of metropolitan activism of writers and artists. G.R.L presented in Rome their worldwide famous project L.A.S.E.R. TAG and their playful Led Throwies. The night of December 1st, they started from the Slaughterhouse of Testaccio and went around some zone of Rome, like the ancient Piramide Cestia and Colosseum. From graffiti to installations, street art calls for freedom in expression in public spaces. It operates with developing techniques strictly related to new technologies. And they are not always welcomed by the state authorities. So an evening, raising your eyes, you could be not in front of a spray decorated wall but in front of a whole front building, invaded by light wrights “shot” by a projector. New York streets, as every metropolitan city, become more and more seat of word wars. On one hand you read the official messages from ads, on the other hand a whole range of artistic works reminding the passers-by that spaces are not and must not belong exclusively to pre-approved and uniform codes. These are some of urban “non-aligned” communication acts realized by Graffiti Research Lab (G.R.L.) , a think tank focussing its efforts in the integration of open source technologies and metropolitan activism of writers and artists. This is a constant criticism to society’s falsities and double soul of a system on one hand condemning graffitis and any communicative expressions in public spaces, on the other promoting and economically sustained by a constant bombing of ads messages. The criticism is the basis for G.R.L. 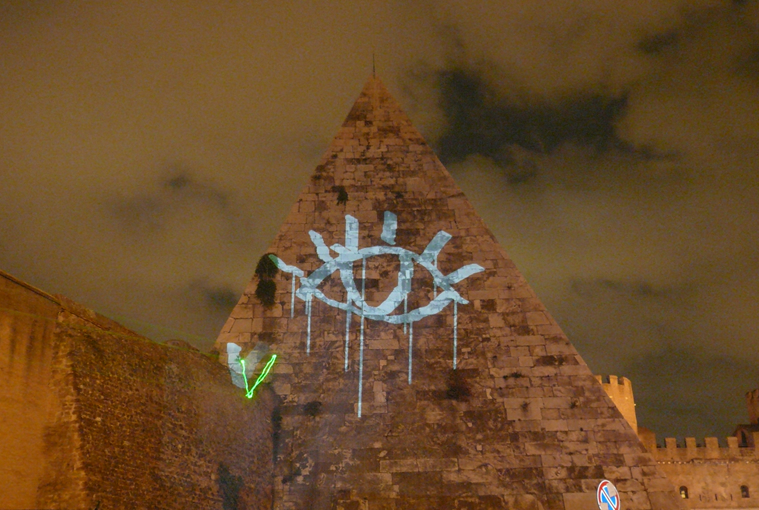 ‘s projects substituting or enriching the so called “classical” graffitis with light devices such as LEDs or projectors. The research in tactics and solutions widening the graffitis world is realised thanks to a wide network comprising single creative works to spaces, Eyebeam , a centre for digital experiments and new technologies in New York City.